data Artisans GmbH was founded by the original creators of Apache Flink®, a powerful open-source framework for stateful stream processing. In addition to supporting the Flink community, data Artisans GmbH provides Platform, a complete stream processing infrastructure that includes open-source Apache Flink.data Artisans GmbH Platform makes it easier than ever for businesses to deploy and manage production stream processing applications. 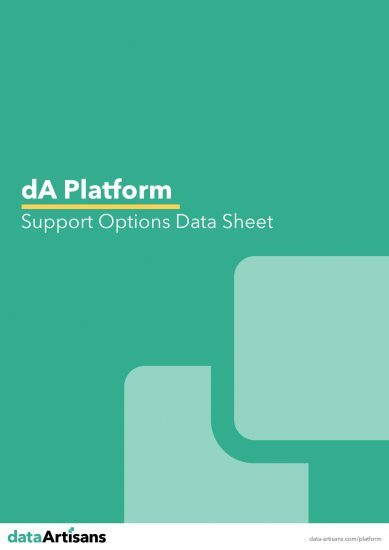 This data sheet provides a detailed overview of the support services bydata Artisans GmbH. As adata Artisans GmbH customer, you have a wide range of support options at your disposal. Whether it’s about finding answers to your questions or getting guidance with critical issues, our team is here to help.